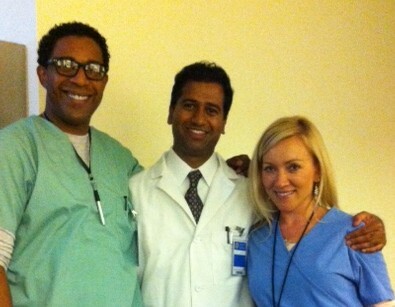 It was exciting to be part of “21 and Over”‘ a new movie filmed in Seattle by the Producers of The Hangover. I got to play a nurse who carrys pills and urine samples! LOL! I was there to check the students in to the doctors office. It was fun to be on a set in a same scene with Sarah Wright, Justing Chan, and Miles Teller! I was lucky that this was right next to my house, so afterwards I didn’t have to drive far to get home. We filmed for 12 hours – strait in to the morning from 5:30 pm to 5:30 am – I never felt tired or sleepy. I was just to happy to be on set, in front of the camera for a change.